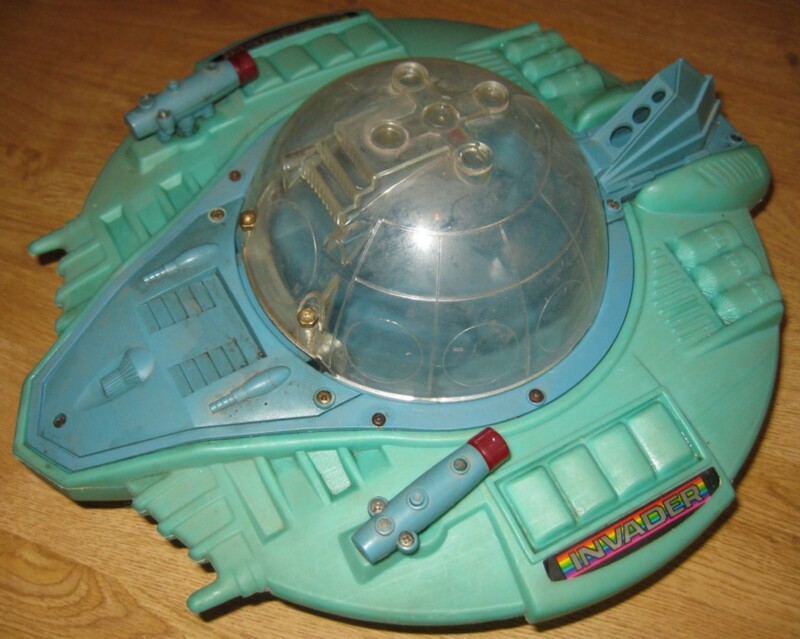 Cyborg & Muton – the Cyboinvader ship – the proof! 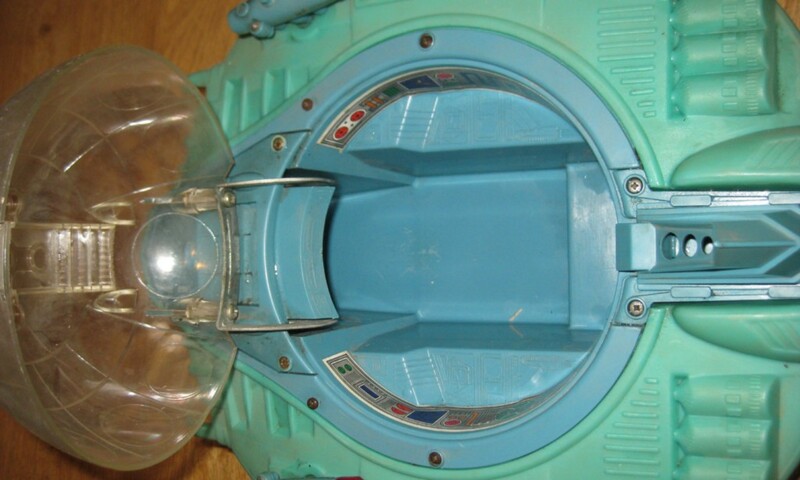 My god how I loved these toys. 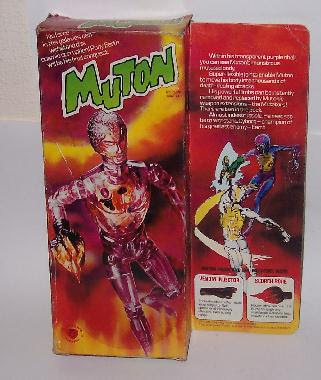 I have sketchy memories of a stop motion Television advert for Cyborg and Muton, with them battling it out with the fate of millions in their hands. 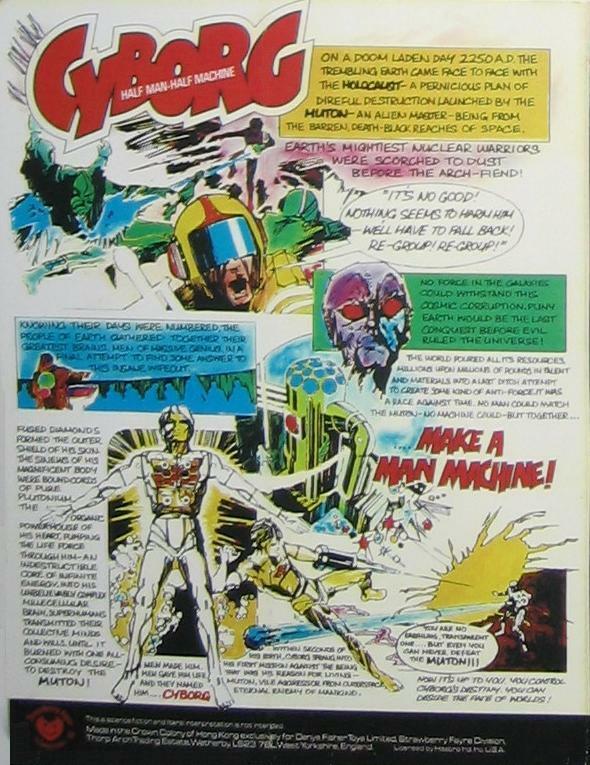 Produced by Denys Fisher, they were based on the Japanese Shonen toys by Takara – see http://en.wikipedia.org/wiki/Takara – and were available in the UK in the mid 1970s. 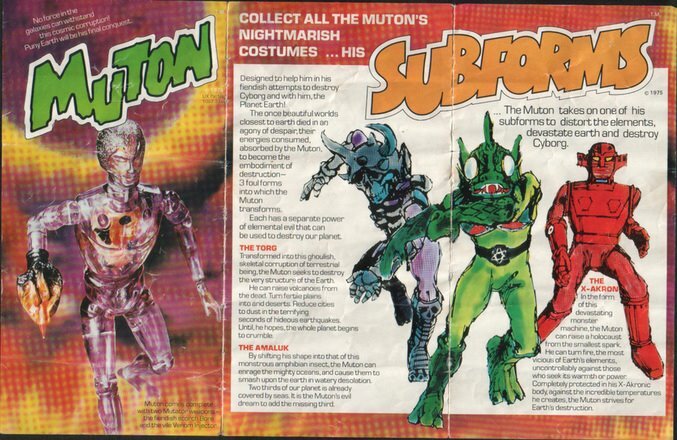 Cyborg and Muton were brilliant deviations from the generic Action Man type action figures available at the time. Strange space creatures with removable soft rubber heads revealing inner workings……transparent torsos, detachable hand/bio weapons and chest firing missiles!!!!!!!!! 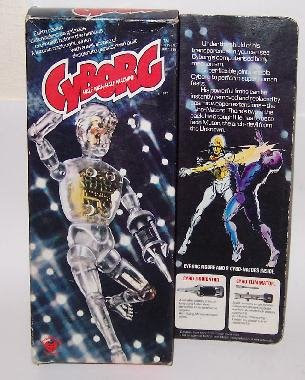 Cyborg, Muton and Android were 8″ figures from Denys Fisher, made in 1975. The premise was that Muton was an extraterrestrial invader who was able to ravage worlds by mutating into one of his Subforms. Each subform was capable of controlling an elemental force, and using it for evil. Cyborg, resplendent in white, was the good guy, out to stop Muton. Android, who was an android, looked like a black robot and fired misslies from his chest. I had him as well, but it was Cyborg & Muton who ruled. 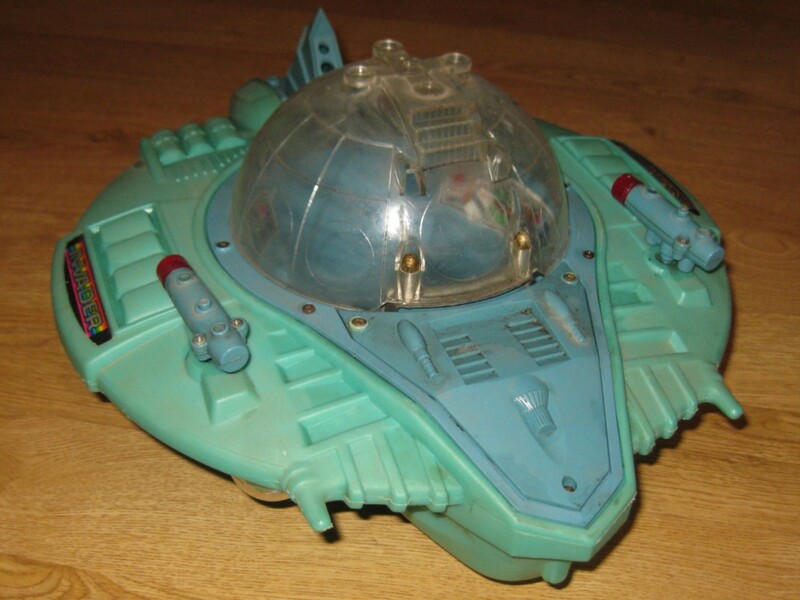 http://uk.geocities.com/vortx_productions/ACM.html Definitive site for these toys. Please go and visit. http://www.mykooltoyz.com/cyborg.html A toy collector with his Henshin Cyborg collection. 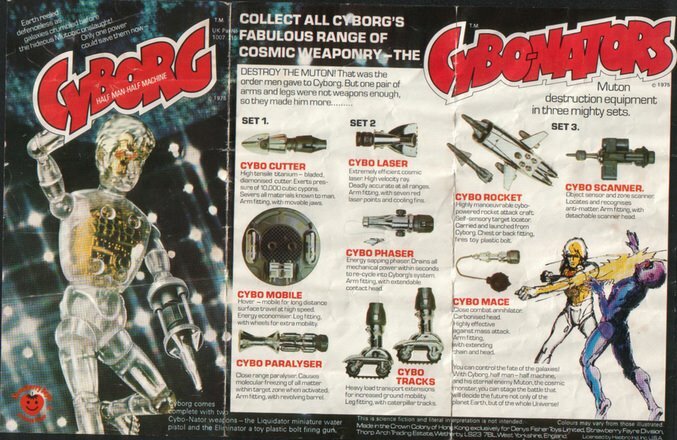 http://www.skullbrain.org/bb/viewtopic.php?t=2230&sid=245b88eb136634d5eab2616cf5c4de07 Thanks to this forum thread I have some pretty pictures of Cyborg and Muton leaflets to put on the page – thanks! 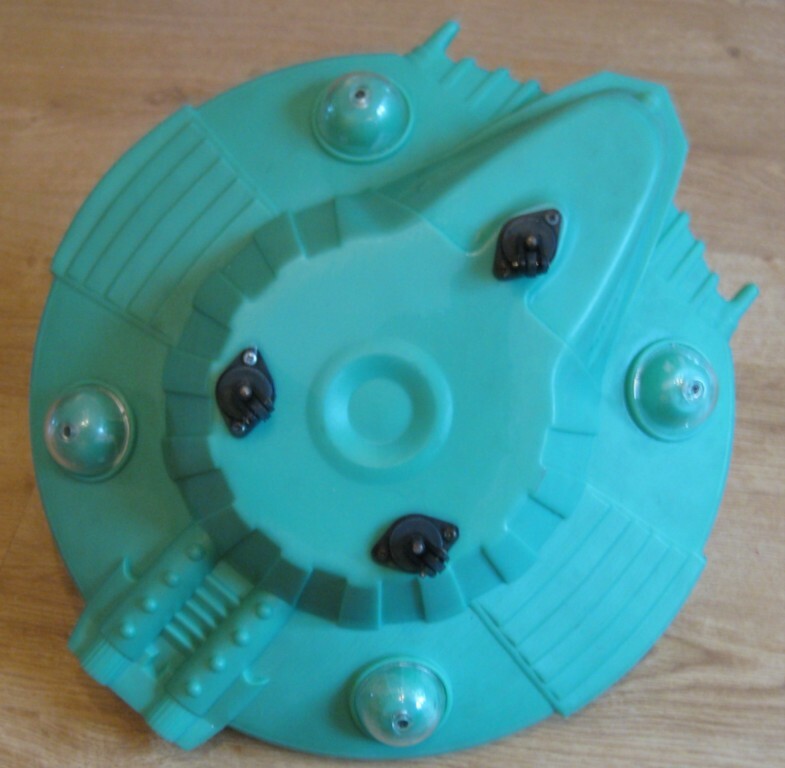 www.solnet.co.uk – toy store online with lots of pics – some i have used here – thanks!